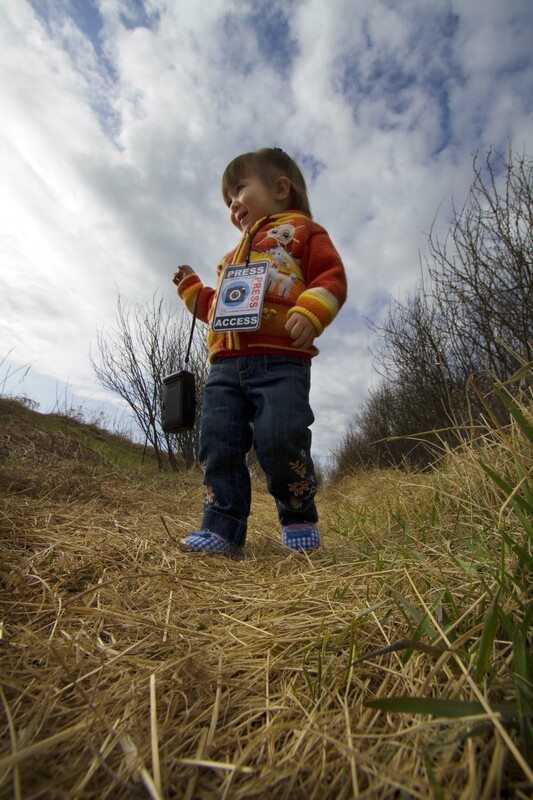 Today our little ones dipped into the Shutterbug Box and headed out for their first walk as photojournalists. They each grabbed a camera and an access pass, shoes and a jacket. 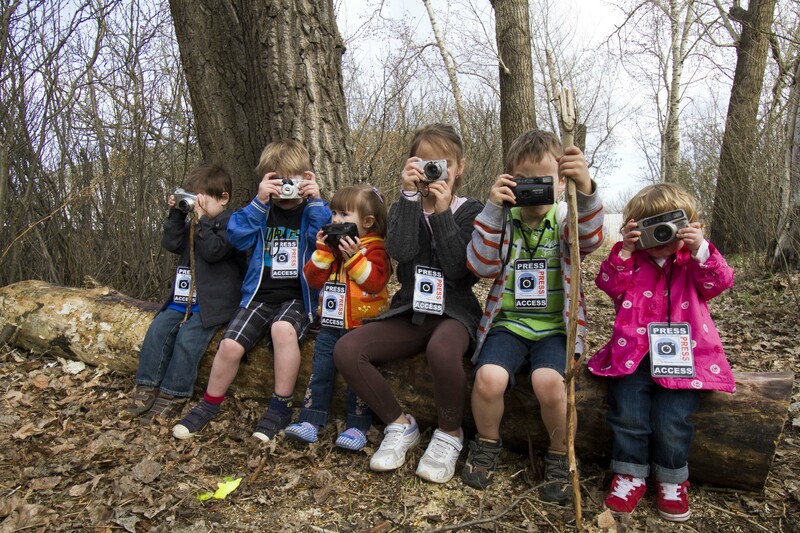 Their mission: to make photographs of all the things they saw in the world around them. Oh, the excitement! It was an unexpectedly fine day and they couldn’t wait! We loaded up the wagon. 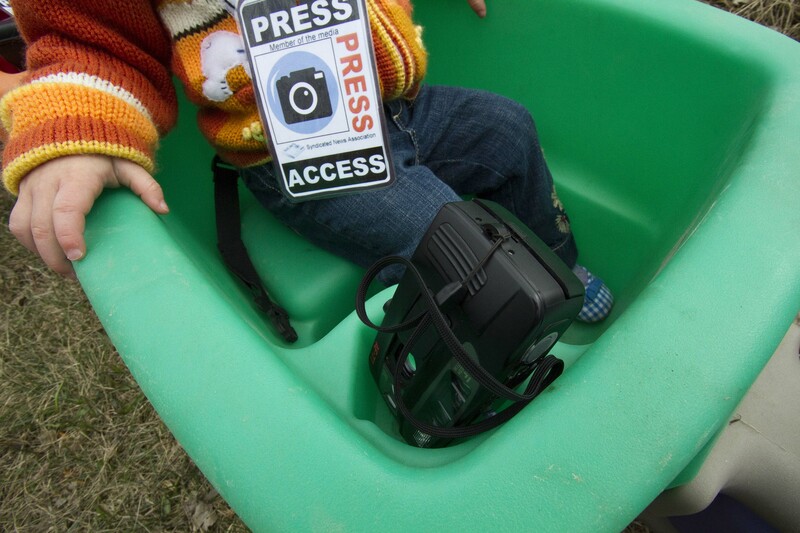 The toddlers put their cameras in their cup holders, and we were off! 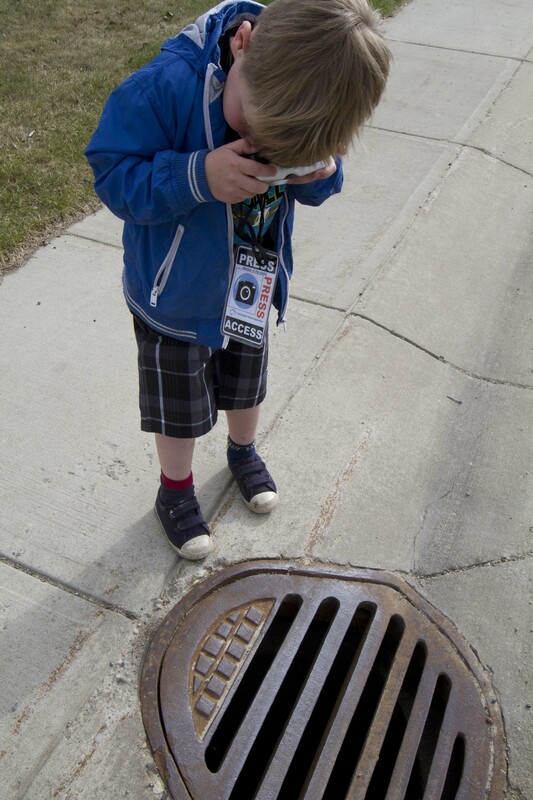 Everything was worth documenting to these little minds…even the sewer drains. 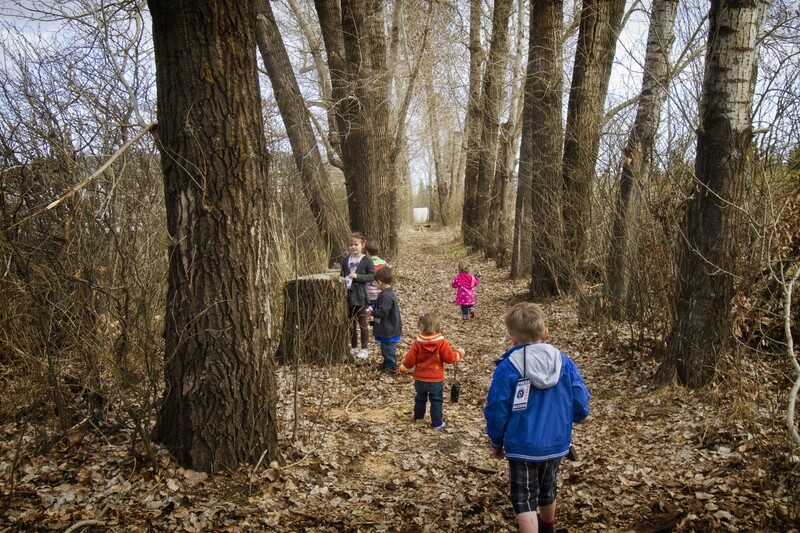 We went as far as a wooded path close to my home, and let the toddlers out of the wagon train, and off they went…pointing and clicking at everything they found interesting. They even made photos of each other! And as you can well imagine, the cuteness was oozing out everywhere! 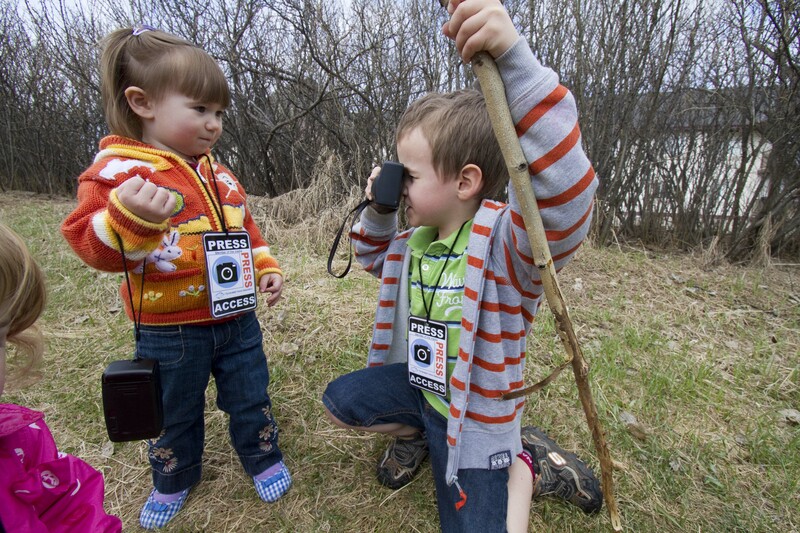 I mean, seriously…look at those little chubby fingers working that camera. Darling. 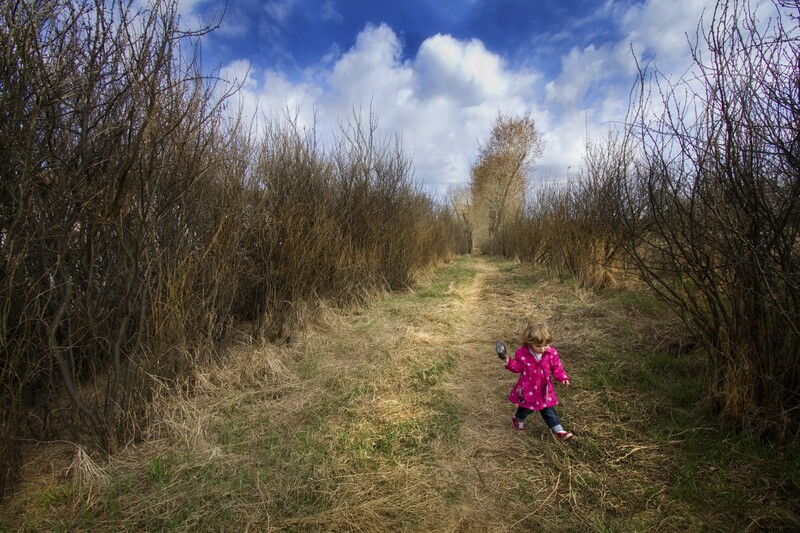 She was so busy making beautiful photographs, that quite often, she’d forget to watch where she was walking! Occupational hazard of a true shutterbug! We spent the whole morning out there exploring and snapping away. Yes, we’ve been on walks before. We all have. But this was the first time we’d gone out with a purpose and not a destination. 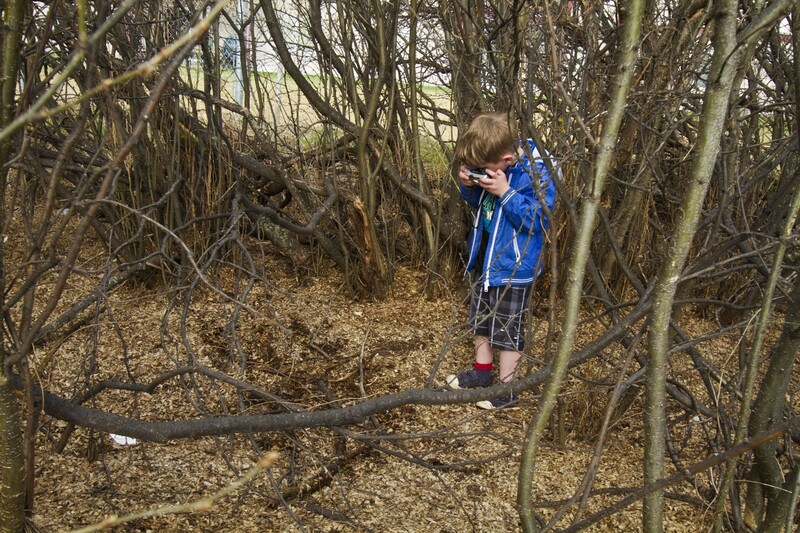 Our purpose was to observe and document and experience. Our purpose was not just to get where we were going. And I’ll tell you…I’ll be doing this again. Really soon. As in, as soon as it stops raining!! How adorable is this?! I truly love your blog, and look forward to each and every post! I am so happy to have found you, and to be following along with all the fun you have! 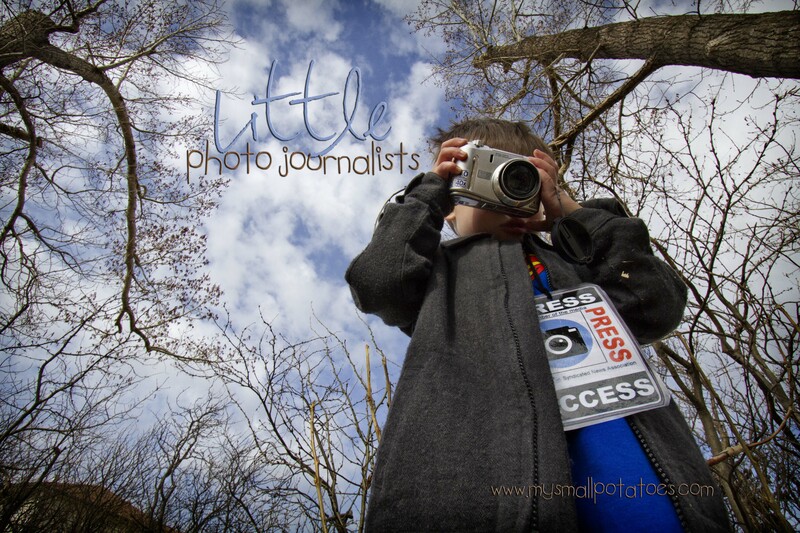 Great photojournaling of the photojournalists! What a cute idea! 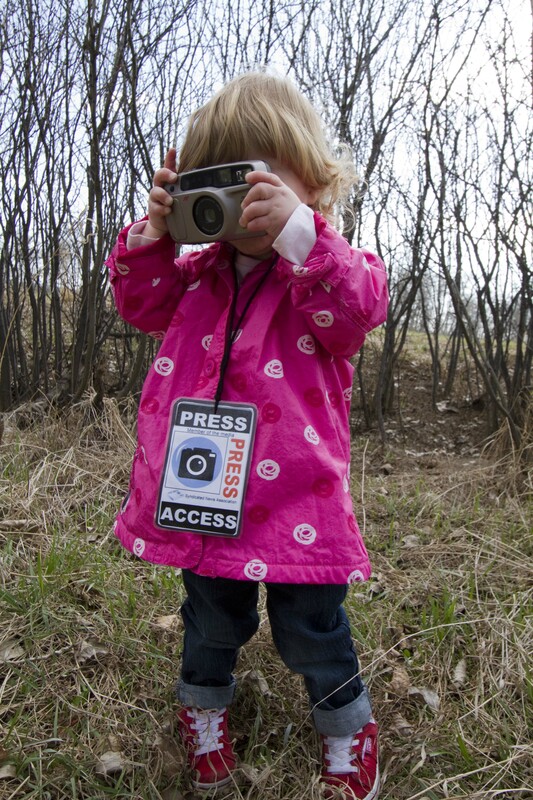 I love that they have press passes. Looks like they had a great time and really got into capturing what was around them. 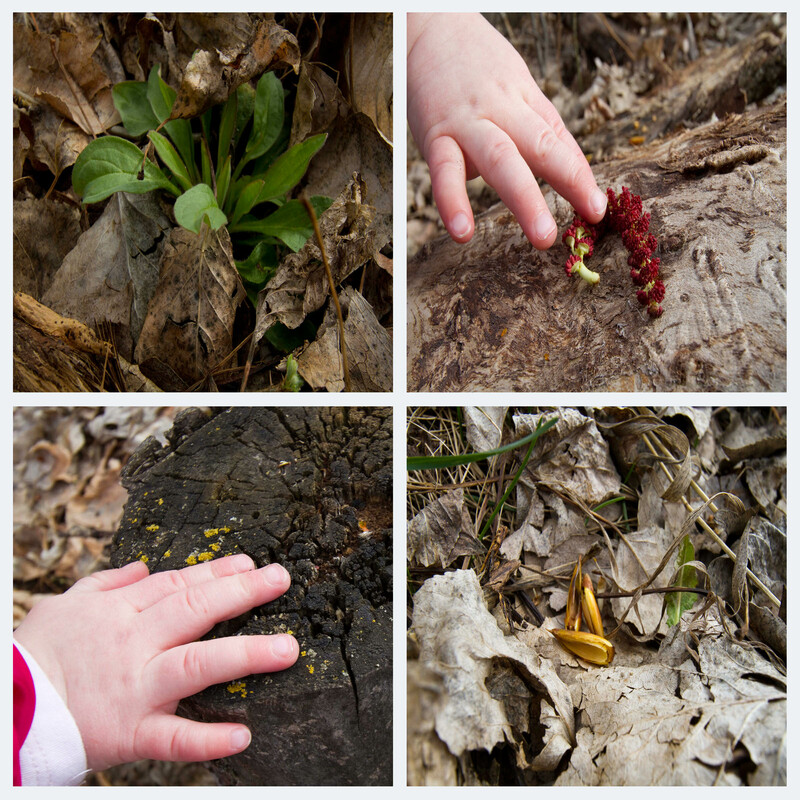 Thanks for sharing with the outdoor play party!